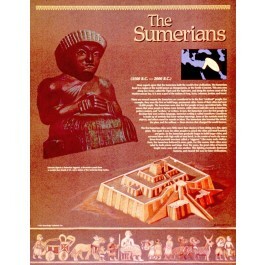 This educational poster about the ancient Sumerians features artistic renderings of a statue of the Sumerian King Gudea, a Sumerian ziggurat, and a decorative panel from a wooden box. It also contains a concise and well-explained background history of the civilization, and a small map showing where the civilization was centered during its prime. 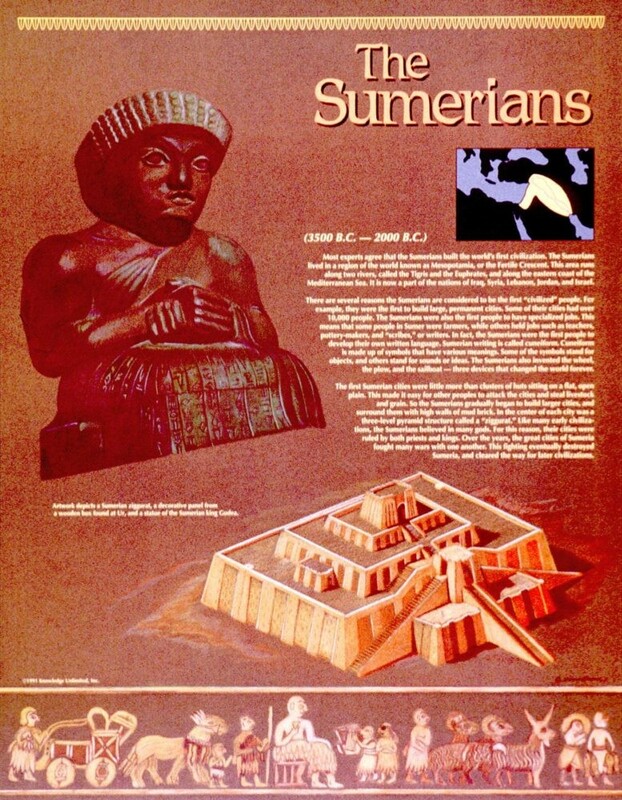 Most experts consider the Sumerians to have built the world's first civilization. They were the first to build large, permanent cities, and the first people to have specialized jobs. They were also the first to develop their own written language. And they invented the wheel, the plow, and the sailboat -- three things that changed the world forever.